“Whenever you read a good book,” quotes Russian novelist Vera Nazarian, “somewhere in the world a door opens to allow in more light.” What she didn’t say, though, is that if you’re lucky, that door leads to your own personal reading spot, complete with a comfy chair, loads of pillows, and tons of bookish charm. While we know many of you can (and do!) 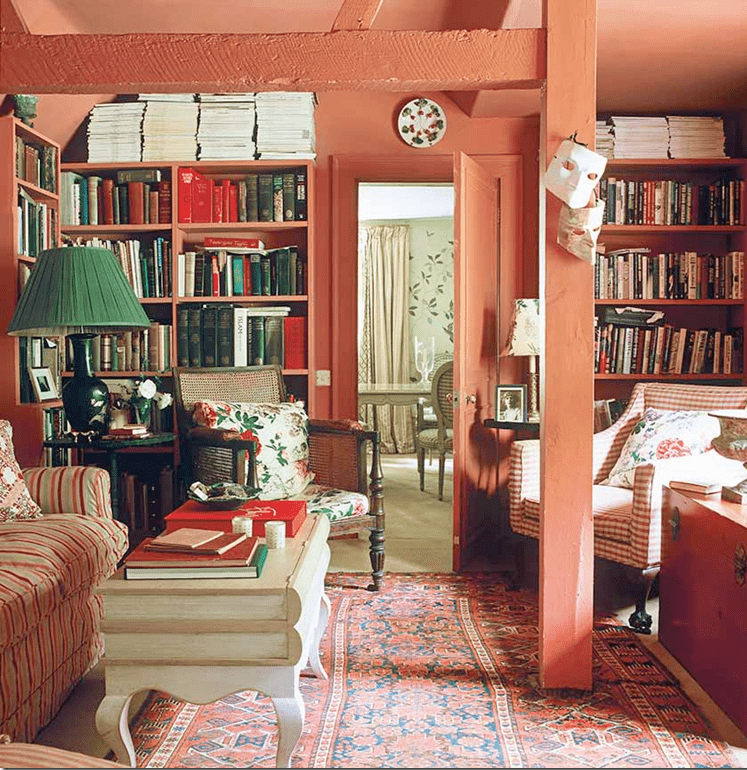 fill whole rooms with your volumes, today our focus is just a tiny bit smaller: the book nook—those teeny, private spaces where a whole day can fall away, deep in the spell of a good tale. The right nook will keep you snug and distraction-free—and help cure the book hangover blues. Here’s a look at some of the ones we love—from the cute and quirky to the downright fantastical—inspired by a few of our own favorite novels. An attic eave makes an excellent cozy klatch for a book club of one. This uniquely designed hideaway is fortified with plenty of plush bedding, bright accents, and a wash of light to flush out the usual dormer gloominess. Meanwhile, with its fresh mint paint job, this nook certainly seems like it could melt your cares away—all afternoon, if you’re not careful! Looking for a room of your own? The spot you’re searching for might be right under your nose, ahem, stairs. 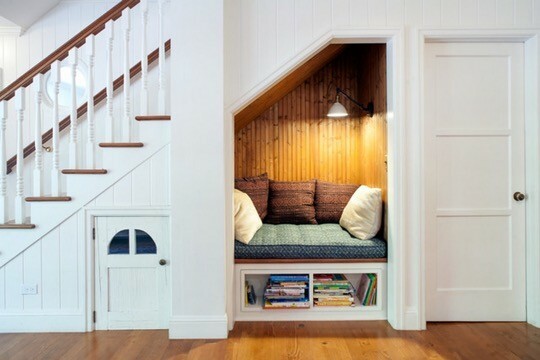 This often overlooked space has potential for tons of practical uses, for everything from storage to shelving, right down to your own secret hideaway for private reading, where, if you’re lucky, you may just get to log a few pages uninterrupted by kids and pets. 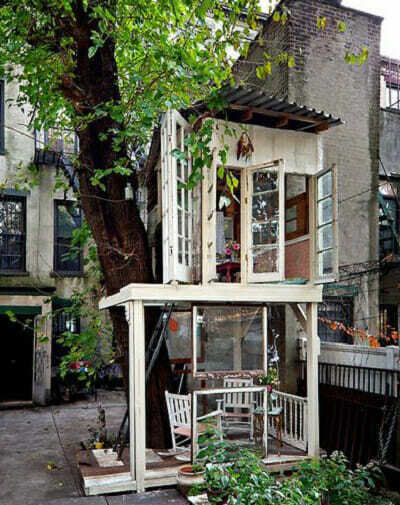 What shall we do with a tiny balcony, early in the morning? Why, turn it into a pint-sized bibliophile’s galley, that’s what! The blue and white area rug and white wicker furniture give this space a particularly beachy, nautical feel—perfect for catching up on one of your favorite old sailor’s yarns. Interior designer Nicky Haslam’s quaint country house is about as English as can be—and not just because of Baroque portraiture or the Jacobean-inspired sitting room—the cabin was originally erected by Henry VII as a lodge to use in between hunting parties. However, we found this charming corner particularly well-suited to curling up with Hardian classic while a Hampshire mist dampens the countryside—at least until tea time, that is! A moody atmosphere dominates this intimate reading corner—the captivating palette of deep red, black, and olive combined with the elaborate gothic truss gives this space a look that is all dark romanticism rather than stoic colonial. We’re willing to bet that in this space, any tome you sink your teeth into would have you rather transfixed. This dispatch comes to us from deep within the heart of the McElmo Canyon—former sacred retreat of the Anasazi and current home of Dan Petersen, who affixed his tiny, unique house right to the edge of the canyon’s rock wall. 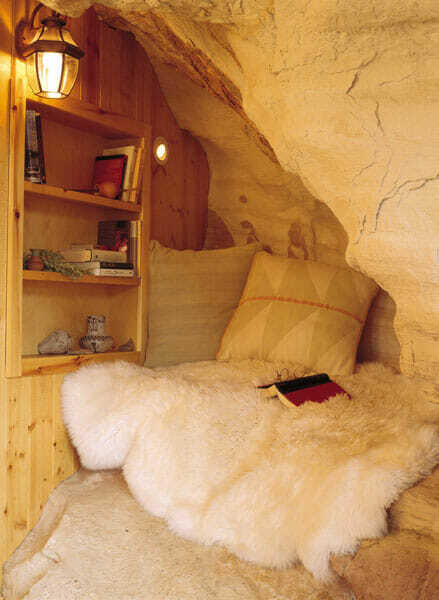 While we know not everyone can have a solid stone shelter, we think the spirit of this far-flung nook could inspire your own cozy reading den. The warm, inviting pine and soft fuzzy blankets really capture that ends-of-the-Earth feel, inviting you to drink deeply of the comfort offered between the dog-eared pages of a well-loved paperback. One thing’s for sure: those Southerners know a good porch. This Georgia swing looks like the perfect place for the next Atticus Finch to bury his nose in a heavy law text or courtroom thriller. The open, airy light and quaint brick definitely takes the swelter out of those hot summer days, but we love this space’s subtle eclectic side, too—have a second look at that planter, for instance. Books and cats. 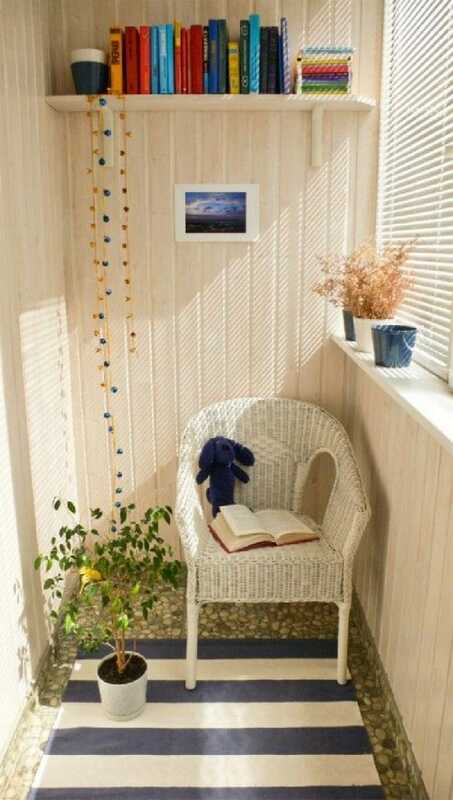 Reading and window seats. Some things were just made for each other. This updated 60s throwback gets a retro vibe from bright orange and brown accents, and the pale coral keeps the look fresh and inviting. 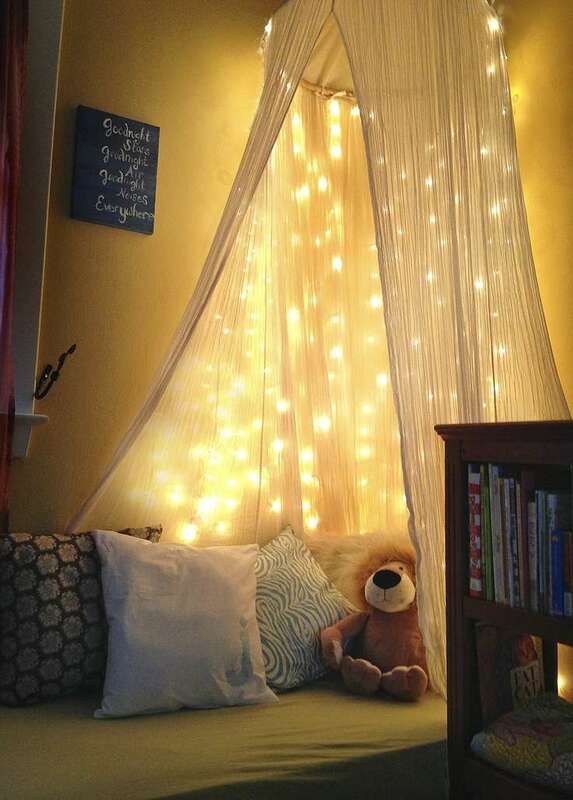 String light canopies and soft, patterned pillows are what childhood book binges are made of, just right for sneaking in a few (hundred) pages before bedtime. And, if you play your cards right, your future bookworm will never know that was your plan the whole time. 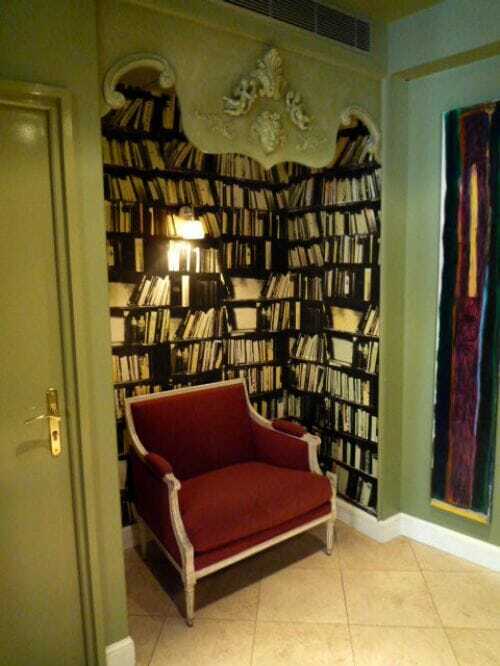 That, if nothing else, is a true testament to the power of the reading nook!